My Creative Existence: Mail Art! The theme over at The Three Muses this week is Mail Art, and I thought it would be a good excuse to show off the mail art I have been creating lately! First I stamped a journaling spot from the Darkroom Door Journal stamp set onto the envelope with Chipped Sapphire Distress Ink. I then inked over the whole envelope with 'Peeled Paint', 'Broken China', and 'Worn Lipstick' Distress Inks, before stamping in black ink. The colours are a bit off in the photo, but it looked very vibrant and colourful in real life! 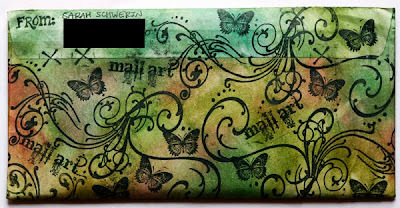 The flourish is a Tim Holtz stamp, the butterfly is from the Darkroom Door Butterflies stamp set, and I also used stamps from the Darkroom Door Mail Art stamp set. Creating mail art is so much fun - but it's even more fun receiving it! I love the look of it after it's been through the post - with the postage stamps, and postal markings, and the slightly crumpled look. I have received a few lovely mail art items, and I will treasure them always! 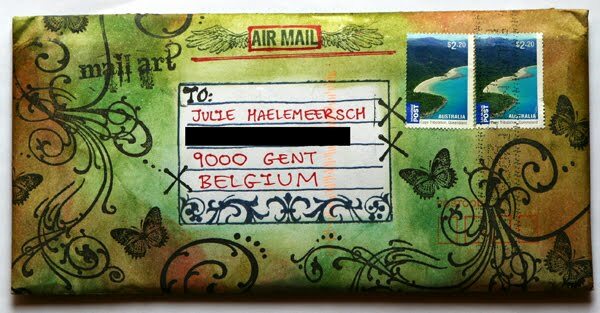 Speaking of mail art, I held a mail art challenge at Inkurable Stampers in May, so if you're into Mail Art, check out all the entries for that month in the slideshow here. You can see lots of photos and full instructions on how I created this piece on the Darkroom Door Blog here. You can see lots of photos and full instructions on how I created these envelopes on the Darkroom Door Blog here. As you can see, lots of masking and collage stamping there - so much fun! Oh wow incredible mail art. oh how fun! I wonder what the postman thinks when he sees such beautiful art...or if they ever are tempted to keep the envie? Gorgeous work and what thrill to recieve! Have a wonderful Wednesday! Beautiful mail art, Sarah. It is such fun to do, and even more fun to receive. Thanks also for sharing the link to more mail art. 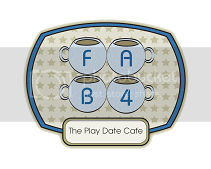 We're glad you joined our challenge this week!! What gorgeous envelopes! I especially like the red ones, very eye-catching. 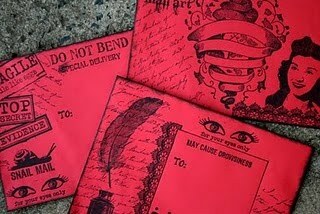 I would love to had this lovely envelopes in my mail. Your mail art is beautiful and unique and I can only imagine how thrilled Julie was to receive this little treasure. Thank you so much for joining in this week and sharing your lovely work. By the way I love your blogwear, it's gorgeous. All kinds of beautiful mail art here- I love your work and glad to have found your blog! 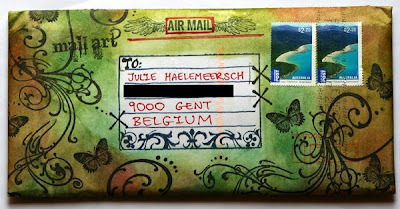 Love your wonderful mail-art enveloppe's. I love all of your pieces, Sarah, so different but each gorgeous in its own way. Hello to Sarah from a fellow Aussie - Marie (Ozstuff) Perth WA. Your mail art is superb. I love your envelopes which must be such a joy for those who receive them. Thanks so much for taking part in the challenge this week. 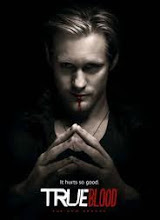 Hope to see you back again!